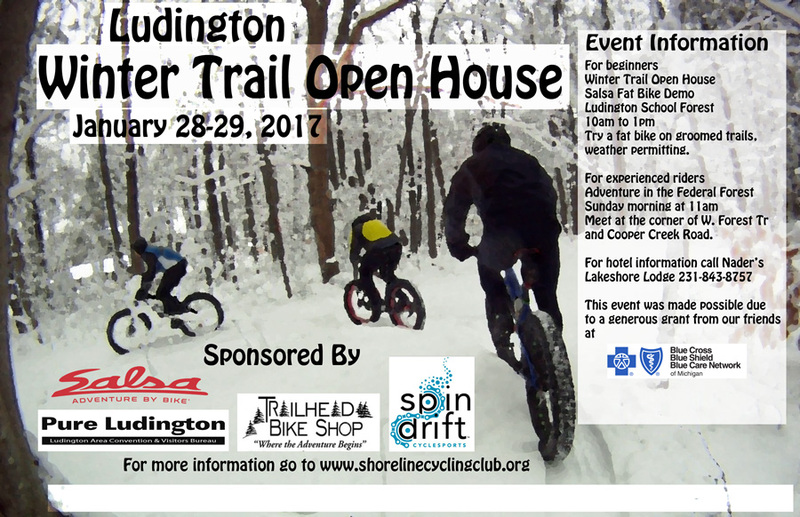 The Shoreline Cycling Club wants to invite you to Ludington, Michigan to check out our groomed trails this winter, so we’re holding our first ever Winter Fat Bike Trail Open House. We’re trying to get a Salsa demo truck to try some new rides, but we’ve got a couple other things planned in case that doesn’t pan out. The event is free, there’s no registration per se but if you could fill out this short form to let us know if we’re on the mark with this event that would be great. All events are dependent on the weather, back in the day, when we used to walk uphill both ways ten miles to school every day you could count on the end of January to be full-on winter, but these days that just isn’t the case. 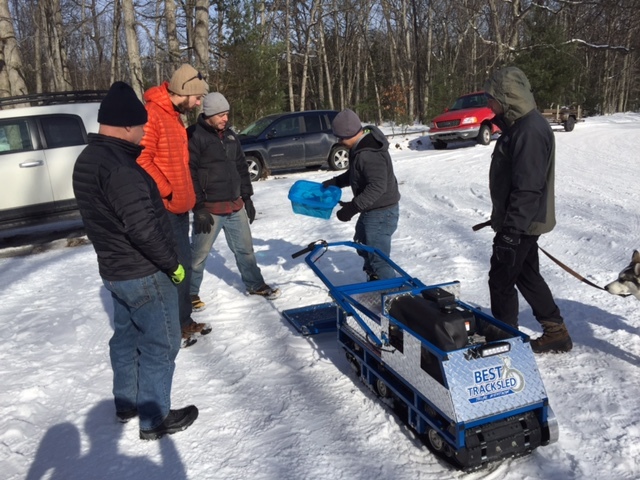 We’ll have 7-8 miles of trails groomed in the school forest, same place as the Singletrack Showdown race course, weather permitting of course. It’s smack dab in the middle of dang winter, we should be fine. Knock on wood. So here’s a tentative timeline. Where – Ludington School Forest, look for the warming tents at the corner of Sherman Road and Tinkham Avenue, near the entrance to the School Forest Trail System. Why – Try a fat bike on groomed trails, weather permitting. Where – Meet at the corner of W. Forest Trail and Cooper Creek Road. A little more on the what, members of the Shoreline Cycling Club will be on hand to guide riders but you should expect to have adequate gear for at least a 2 hour winter ride in below freezing temperatures. We will have scouted and potentially groomed a couple of loops in the area. It should be noted that outdoor activities in the dead of winter can be potentially hazardous to your health.